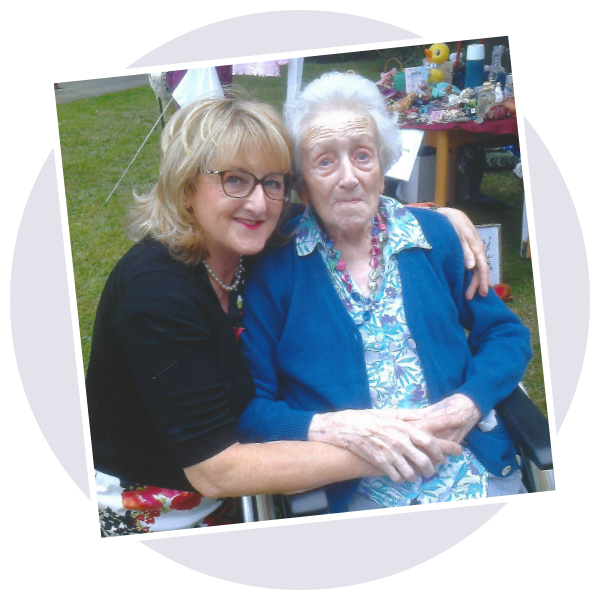 "I can honestly say that thanks to Autochair’s Milford Person Lift, the last few years of my mother’s life were made more bearable,” says Autochair customer Marilyn Westwood-Bate. "It meant that she could continue to get out and about rather than be stuck at home and that helped her to live as full a life as possible. Five years ago, Marilyn’s mother, retired nurse Vera Owen, was outgoing, independent and sociable, but her life changed almost overnight at the age of 80, when she suffered a spinal cord infarction, a rare but devastating condition which left her unable to use her legs. She was hospitalised for 10 months and by the time she was discharged, ready to move into a nursing home where she would be cared for, Marilyn had bought and fitted a Milford Person Lift into the passenger seat of her VW Polo car, which, over the next four years, would allow Vera to continue to get out and about in comfort and with dignity. During her career Vera had looked after youngsters with physical and learning difficulties. She was still bright and alert and did not want to be regarded as disabled, so did not want an electric scooter or sit in her wheelchair while she was transported in an adapted car. "My mother didn’t want equipment that was obtrusive, but using a banana board to get her into a care was a nightmare and using taxis was extremely limiting,” says Marilyn, who lives in Gobowen, Shropshire, with her husband, Simon. "I found out about Autochair on the internet and we liked the fact that the person lift is discreet and allowed my mother to sit in the front seat and see what was going on. It was very simple to use and took no time to master. Simon is an engineer and he thinks it’s marvellous, simply because it works so well without being complicated. "My mother and I would have lovely days out. I would take her out twice a week to garden centres and shopping and it meant that she could continue to have lunch every week at the college where she used to work, surrounded by former colleagues and ex-students. Sadly, Vera died earlier this year, a few months before her 85th birthday, and the lift has been removed from Marilyn’s car.